Installation by Dr Pamela Croft, resident artist for Fibres Ballarat. 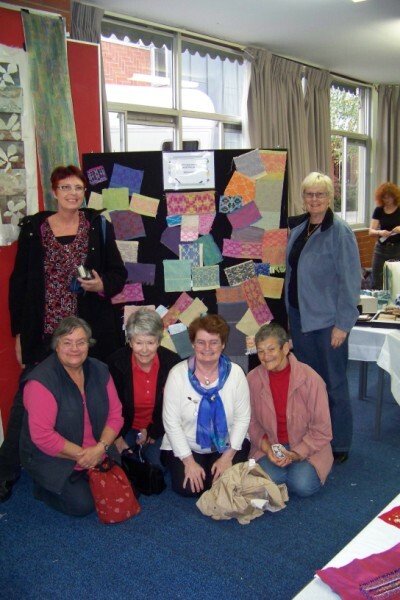 This month I got out of the studio for a week to teach at Fibres Ballarat. The class was on Building Blocks where we looked at the development of profile drafts and interpreted them into a number of weave structures. Each loom was threaded in the student’s own design in a particular weave structure. Then each student wove their own design on the different looms using different structures. By doing this an amazing variety of designs were obtained. The class went superbly well no doubt in no small way due to the amazing dedication of these very focused weavers who often worked well into the night. At the end of the week they had completed an amazing amount of work. In addition to the work, the camaraderie in the class was wonderful. We did have a great time. 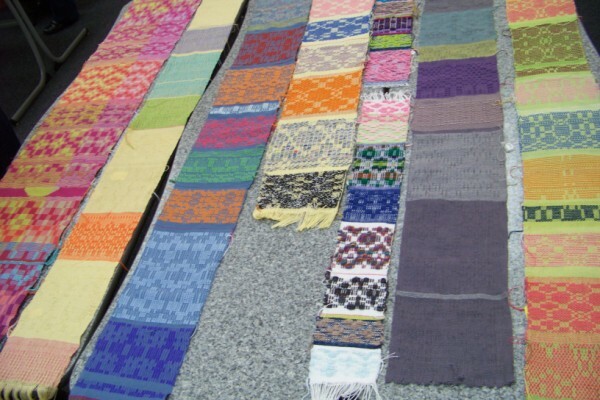 The following images shows some of the samples produced. 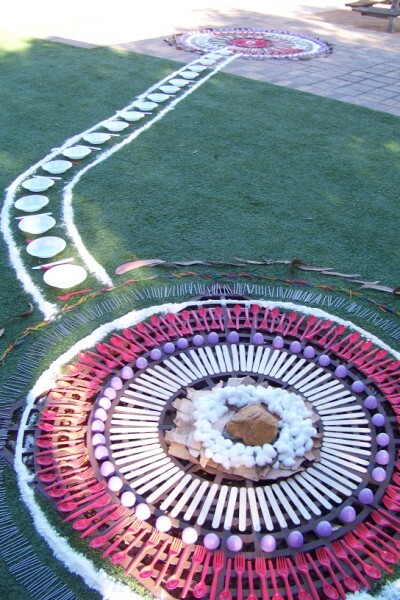 Fibres Ballarat, organised by Glenys Mann of Fibre Arts Australia (http:/fibrearts.jigsy.com) provides a wonderful week of intensive learning in a number of fibre disciplines with both national and international tutors. A great week was had by all! 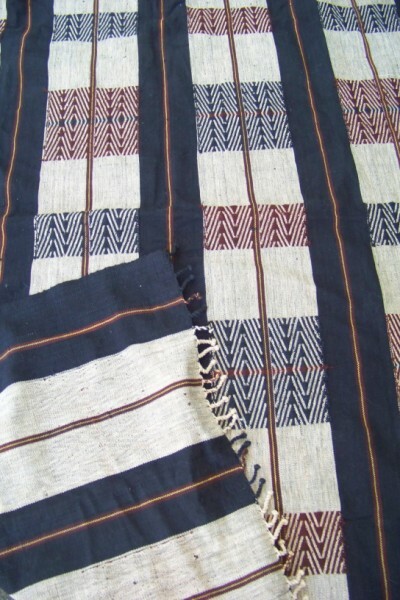 I did collect an ethnic textile from a trader while at Ballarat. In this ceremonial shawl from Naga, Burma, the supplementary weft pattern is woven in sections across the width. What is interesting is this: where is the pattern on the back? It is totally woven on the face of the cloth. I am looking forward to interpreting this on my loom at some stage. Work in the studio continues. 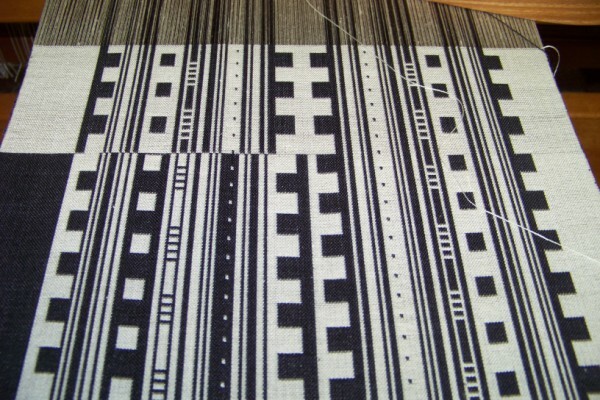 This week I’ll share a design from drawing to part woven on the loom. These are going to be a series of small framed works in doubleweave. The drawing takes elements and patterns from other weavings and combines them into this graphic design. I have started with the original pattern and for each subsequent one certain elements have been altered, changing white for instance into black. I am then intending these studies to be used to develop larger work. 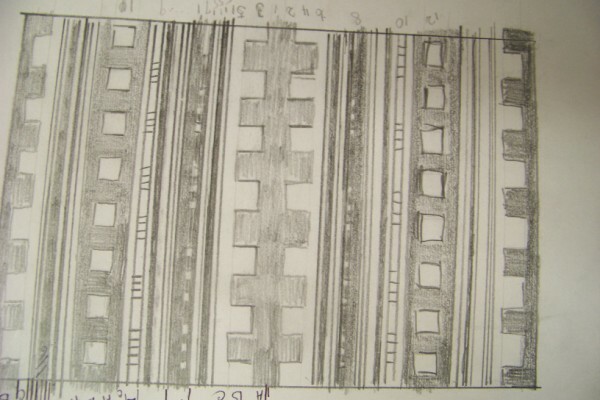 I have included the drawing and subsequent designs being woven. There are two shown. The garden flourishes. We have had more rain. 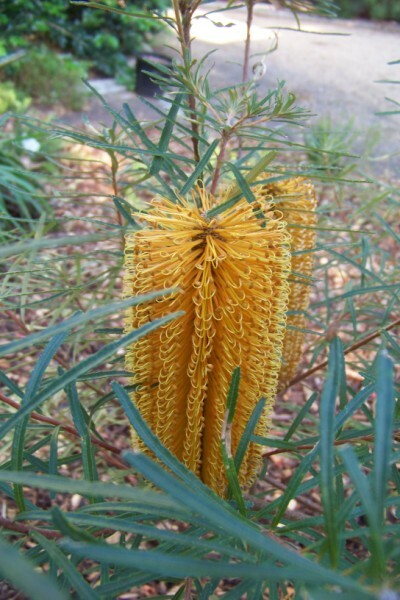 I am enjoying some beautiful Banksias. This tree is only small but it has seven of these beautiful large spikes. You are currently browsing the Kay Faulkner's Blog blog archives for May, 2011.